Lectures will be at 9.30 for 10 am til noon on alternate Thursdays starting March 10th, 2016. March 10, 2016 - Orientation Meeting - Come celebrate the launch of Guelph’s Summer Lectures Club with coffee and cake. Meet your fellow members and learn how the lectures are planned with discussion of ideas for the summer. Includes a short talk by Julian Sale on how online social media has changed the way we communicate. Julian Sale - How to be plugged into the digital world - and NOT be overwhelmed by it all. ​Personal computers, tablets and smart phones have changed the world and continue to change it at ever increasing speeds. Whether we like the changes or not, they are here to stay, and it helps us to at least keep abreast of developments. Do you have a Facebook page? Do you know how to use Twitter? How often to you do a Google search? Do you do all this on a smartphone? Julian Sale will provide a brief overview of current communications technology, help you to understand the direction in which the computer world is moving, and perhaps offer some guidance if you find all this overwhelming - as many do. Peter Kevan, Professor Emeritus, University of Guelph asks us to imagine a world without pollinators. He will help us gain an appreciation for indigenous Canadian and introduced pollinators, demonstrate how they fertilize flowers, and discuss the decline in their populations through herbicides, insecticides and monoculture. Vernon Thomas, Professor Emeritus, University of Guelph, explains that a big challenge facing pollinator insects, and one where we can all make a difference, is a shrinking pollinator-friendly environment. He will show how in our own gardens and in public places we can offer space where populations of pollinating bees, butterflies, moths and some pollinating flies can flourish. Paloma Plant of Erin is program coordinator of an organization committed to saving the thousands of birds that fly into high-rise buildings and other man-made structures. She is a lobbyist for building designs that are less hazardous to birds, she can point to some successes where FLAP has helped building owners to reduce hazards for birds and she will advise us how we can all help birds avoid window collisions around our own homes. ​Dr. Alastair Summerlee, past president of Guelph University, walked across the Kalahari Desert in Botswana in the winter of 2014, on the way attending the Festival of the San people, an annual event that goes back 3000 years. He will speak about his interactions with these interesting people and the world they live in. “University of Guelph’s Ornamental Plant Trial Program” manager and horticulturist Rodger Tschanz will explain the University’s valued contribution to the selection and cultivation of prize-winning ornamental cultivars in Canada. He will show how horticulturists and the public share in the selection of winning ornamental plants and the important economic spin-offs from this Guelph University initiative. Additionally, in late July or early August 2016, when flowers will be in full bloom, Rodger generously invites us to a guided tour of the University trial garden near the Turf Institute on Victoria Road, Guelph. A date for this visit is still to be determined. 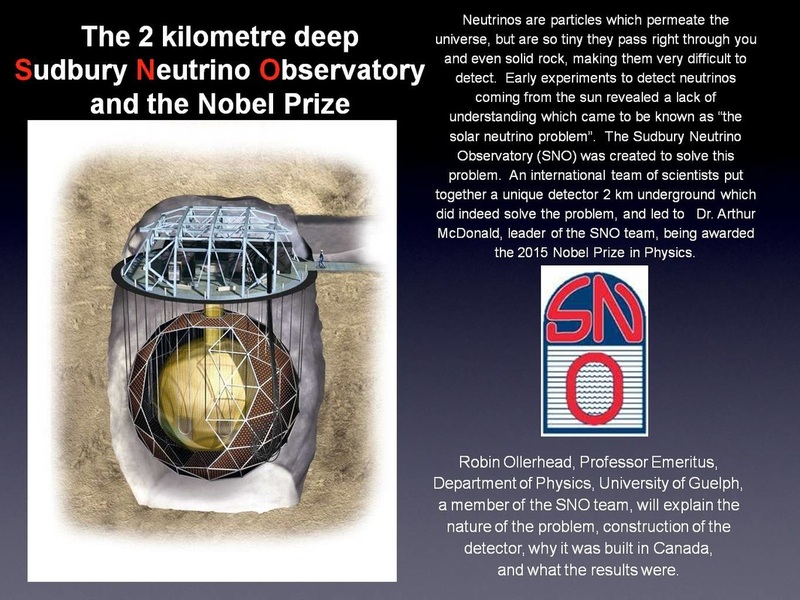 Neutrinos are particles emanating from the sun so tiny they pass right through you, me and solid rock, making an observatory 2 kilometres underground a good place to study them. Professor Emeritus, Robin Ollerhead, a member of the SNO team provides a virtual tour of this unique underground observatory. He describes the contributions it has enabled Canadian scientists to add to our understanding of fundamental particles and cosmology, and explains the successful experiment that led to Dr. Arthur McDonald, professor emeritus of Queen’s University, being awarded the 2015 Nobel Prize in Physics. PS. You do NOT have to be a scientist to enjoy this lecture. 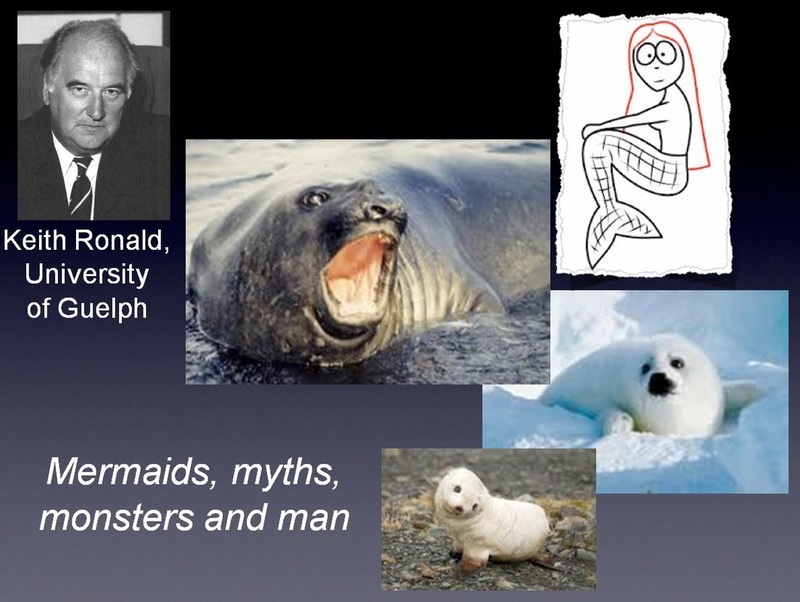 "Mermaids, Myths, Monsters and Man"
Sergi Torres - "The Origin of Humans: New Fossil Discoveries"
The fossil record of our pre-human ancestors is at best sketchy. However several important discoveries have been made since the year 2000, including in 2013, a new species of early hominid, Homo naledi, found 75 kilometres north-west of Johannesburg, South Africa in a cave so inaccessible that the discoverers recruited very slim female paleantologists who could squeeze through an underground opening only 18 centimetres wide, to assess the remains. 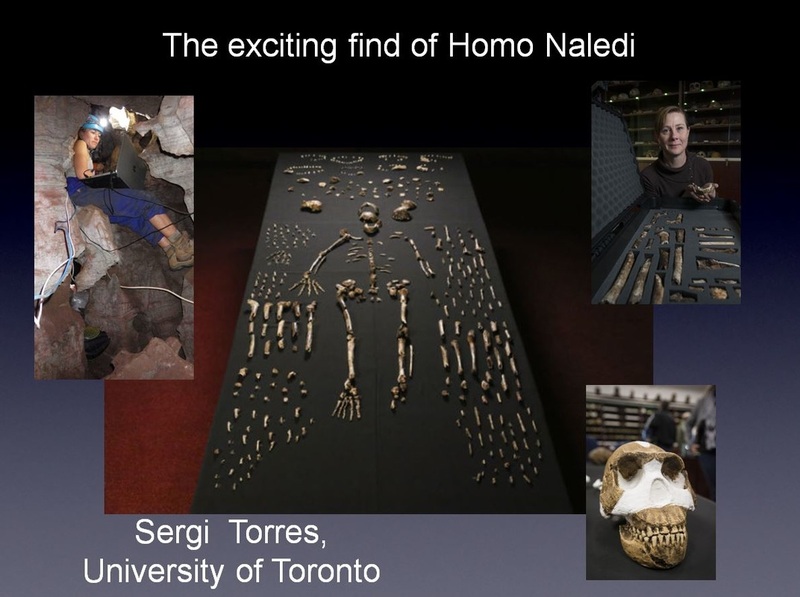 "Sergi Lopez Torres of the University of Toronto describes this find and several others that throw new light on our early hominid ancestors". 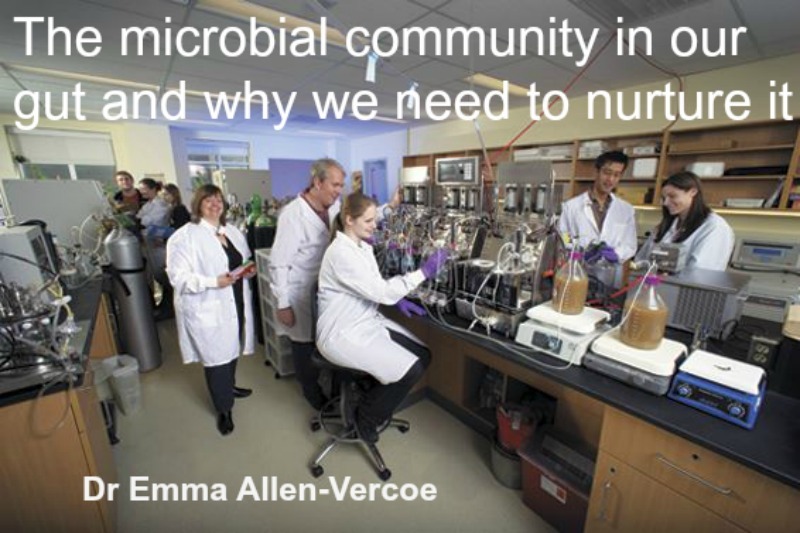 Emma Allen-Vercoe, University of Guelph - "The microbial community in our gut and why we need to nurture it." There is a huge and diverse microbial world living inside our gut. How does the gut microbiota respond to its environment? Which bacterial species contribute to disease and which contribute to well-being? Emma Allen-Vercoe describes the current research in this field and why gut bacteria are essential to our health. If you think the contents of the gut are “dirty”, learn why they are “beautiful”; why you cannot manage without them; how you can help them help you. "Another walk on the wild side! 900 kilometres to the South Pole"
Win Wahrer "It can happen to any one of us". In 1992 Win Wahrer founded the Justice for Guy Paul Morin Committee, which in 1993 became AIDWYC. Still working in the cause, Win Wahrer provides a window into the devastating impact of erroneous convictions and the work of her organization to right the wrongs of the convictions of Guy Paul Morin, Steven Truscott, David Milgaard and others. She will also pay tribute to the late Rubin "Hurricane" Carter and his enormous contribution to innocence work in Canada. Our first general meeting. How have we done so far? What should we do to keep our lectures relevant? Election of executive committee for 2017. We need participation and volunteers! This meeting and Lecture is FREE. Gary Draper who last winter presented a very popular “Whirlwind Tour of English Canadian Writing “ to a Guelph Third Age Audience. His subject . . . "THE JOY OF TEXT”. Gary will answer these questions: What are the pleasures of reading? What are the obstacles to reading? What should I read next?